just perfect for a quiet escape. 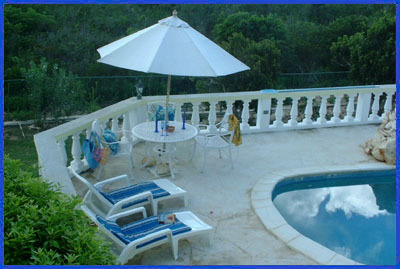 Imagine the serenity and privacy of having your own Caribbean getaway. Spectacular views of the Caribbean Sea and St. Martin stretch before you. 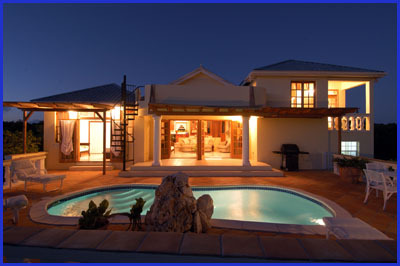 On evenings youll enjoy a night with the moon and the stars from the pool deck or roof patio. Splash is located just minutes drive from some of the most pristine white sand beaches, such as nearby Rendezvous Bay and some of the finest restaurants in the Caribbean. 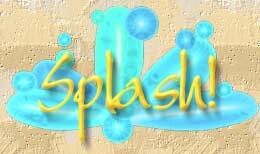 A holiday at Splash! includes a complimentary welcome amenity, a stock of breakfast items of your choice and maid service. Splash! has a refreshing charm and a pleasant open design bringing the outdoors inside. The villa was lovingly crafted by its designer/builder to capture the essence and beauty of the Caribbean - natural light, water, cool tradewinds and spectacular vistas. Special features include a jacuzzi-for-two in the master suite, a private outdoor pool, barbecue grill, hammock, poolside dining area, roof patio for sunset cocktails, cable television, CD player, Fax access and all the modern conveniences of a cosy home. Delightful maid service is provided several times a week. We pride ourselves on personalized service and you can help by letting us know what will make your stay with us really special. 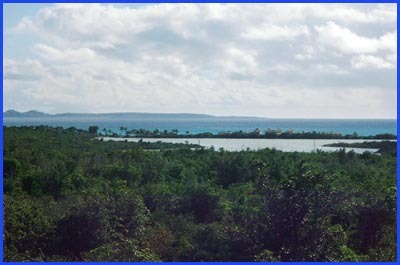 Wed also be happy to help you make arrangements for holiday activities such as boat excursions, diving and more.